Welcome. Here we are with Poets' Letter Renovatio: Poets' Letter has had many successive reappearances. First it appeared in print in the nineties as the computer and internet began spreading their prowess. Then from 2004 it appeared online and ran on for a few years. On August 23, 2006 Poets' Letter made its first print magazine appearance at the II London Poetry Festival and ran a few issues. Along the way, Poets' Letter became Poets' Letter Online, Poets' Letter Print, Poets' Letter Youth Lit, Poets' Letter Fiction, Poets' Letter Philosophia and in this journey Poets' Letter developed its Poetre Programme Poets' Letter Poetry Performance and Live Music Series that went on for a few years at Covent Garden from where grew the London Poetry Festival and at the Poetry Cafe we held our first London Poetry Festival in 2005. Then after a break Poets' Letter ran both online and in print, a while in 2009. 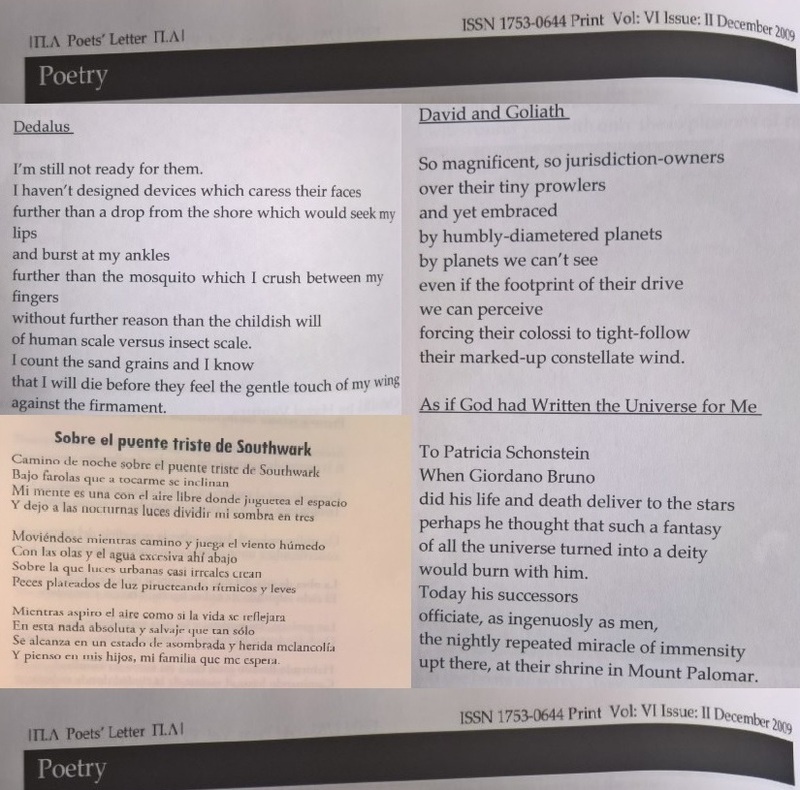 From Poets' Letter two poetry Anthologies were published. One was Poets' Letter Poetry Anthology of New Voices in 2005 and London Poetry Pearl: Celebrating the 5th Festival, Publishing 64 Poets and the five Festival Poets in Residence at the 5th Festival 2009. Now, that The Humanion is heading towards celebrating its Year Alpha in September and the London Poetry Festival is making its VI appearance in October and it is time that Poets' Letter comes back to life again. Therefore, at home at The Humanion, here we are, Poets' Letter: once again, will seek to create a home for poetry. 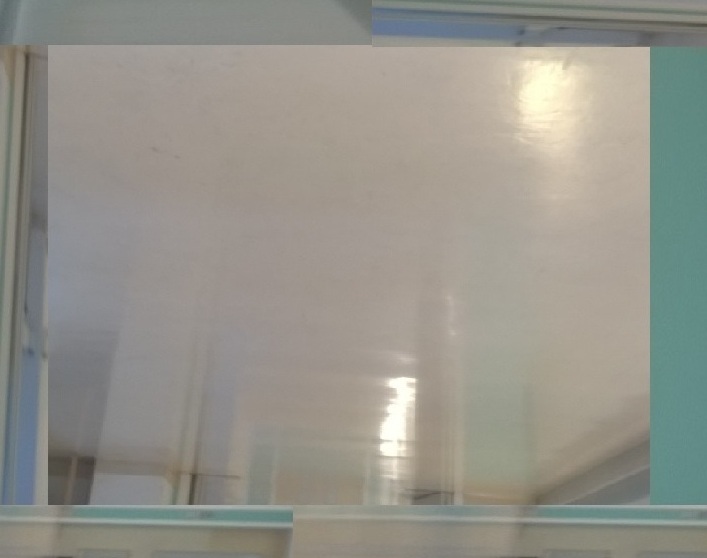 These are the sections in which materials will be published. This is an open invite, to send works and to get involved, to all poets in England, Northern Ireland, Scotland and Wales as well all other English speaking domains in the World and all other poets of all other parts and countries of the world. Featured Poet: Here, Poets' Letter publishes poets who are already published or in the process of being published. But this does not stop emerging poets seeking to get published. 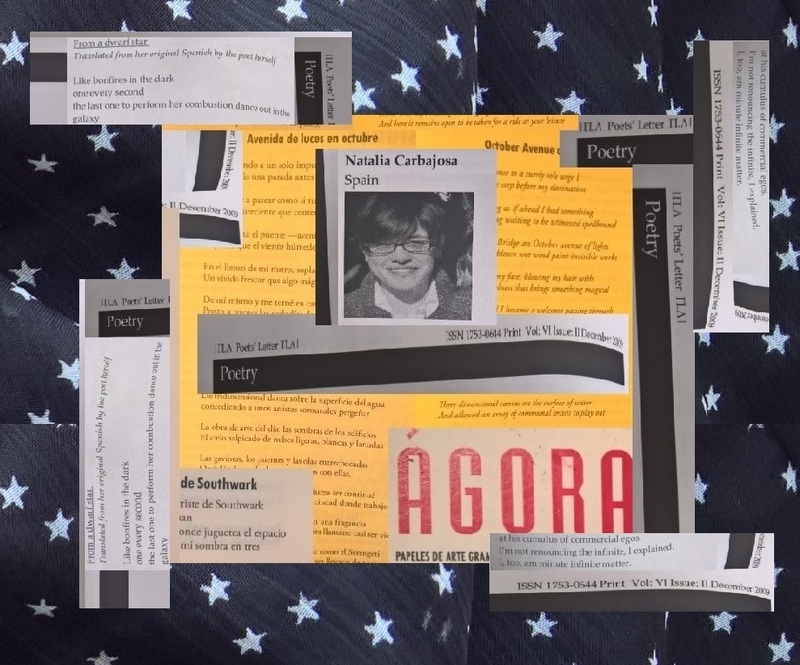 For this section, poets are invited to send five pieces of work, with a short biography and a photo of the poet. Works have to be new works and unpublished. Poetrimore: Here, only published poets' works are published in one or twos. 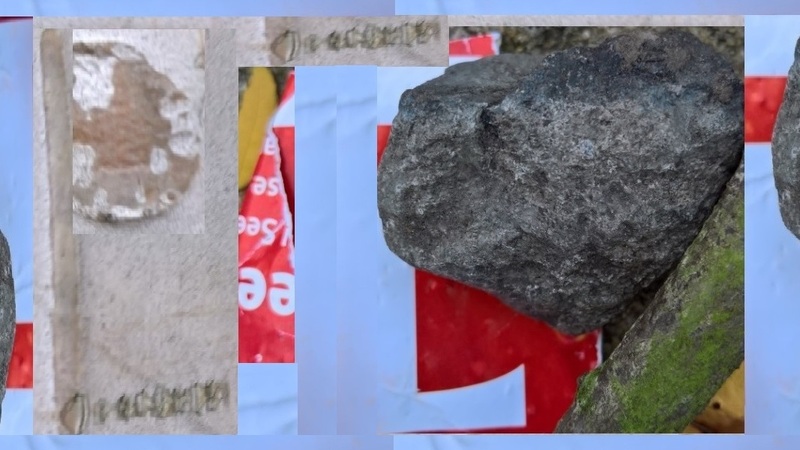 Poetre: Poetre is where all the performance poetry, performance poetry events and news and festivals and other related news, views, reviews are published. And therefore, it works a performance poetry events listings that literally means poetry events taking place around the entire world. Poetry Books: As the title suggest it is about poetry publishing, poetry books, anthologies, chapbooks, pamphlets, news, reviews etc. World Poetry: This is where world poetry is presented in English translation. 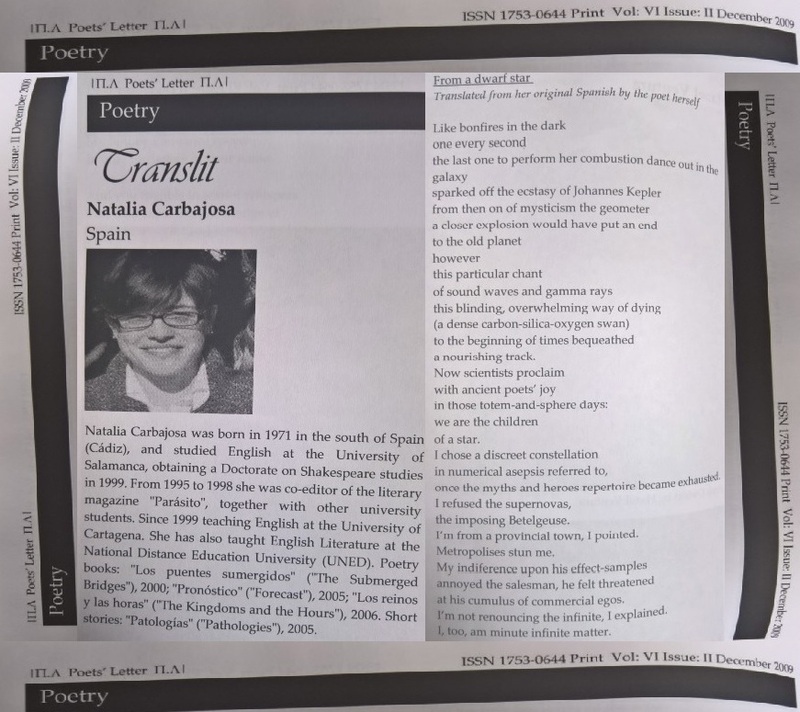 Translit: This section is translation but here we publish works translated in English as well as poetry translated from English to other languages. And our emphasis is to translate contemporary poets who are already published in their own language. And works are presented in both the original and in English translation. Purely Poetry: This is the section for poets who are just beginning their writing. Now, please, spread the words and let people know of Poets' Letter. Send writing, news, events, performances, festivals and anything else that relates to poetry. || September 23: 2017 || ά. From the second London Poetry Festival the Festival Poets in Residence Programme was introduced as part of the Festival's commitments to new, young and emerging poetic voices and offered five poets the Residencies, who became the Signature presentation of the Festival. The Residencies of the 2nd Festival went to these talented poets: Mr Alan Buckley, Dr Girija Emma Jane Shettar, Mr Luke Wright, Ms Malgorzata Kitowski and Mr Philip Ruthen. This piece, however, is not about the other poets but about Mr Philip Ruthen. Mr Ruthen was reading all across town, writing, work-shopping and publishing and one day he happened to have found out The Poets' Letter and the Poets' Letter Poetry Performance Series at the Poetry Cafe, Covent Garden and he arrived and read and the rest was not quite history because he became and remains a part of all that Poets' Letter and London Poetry Festival sought to do. He continued his journey as a poet, writing and publishing works, which eventually, culminated to an assured first full collection, Jetty View Holding, few years ago. He kept at it, and as such, Mr Ruthen has continued to reach for, found and responded to landscapes, realms and soundscapes, of intricate subtleties and with depths and dimensions, that not many find their way into; and he has acquired the mastery of the poetic craft and the language with such command that they do exactly what he asks them to do: to speak as he does. He, who speaks with a voice, that is authentic, epically-dramatic without being hollow, shallow and pointlessly 'loud' and what is worse, the crass sentimentality and sensationalism. He writes poetry with this sense of calm as if he had learnt to enter the Universe of the words and seen how they whispers to him so to respect their solitude. And as one does at a Library, one resonates the atmosphere, Mr Ruthen's poetic work is deep, sincere and it travels as the water does in the Pacific: one can hardly perceive it move: but does it move? It does. Mr Ruthen's poetry does move like that except does he move? You can be assured that he does. Earth rotates and runs and the moon does so, too, but we do not see them moving. The art of poetry is in its being musical in such a way that no one is aware of the music anymore because they are in the music, in it. And the good news is, in his latest poetry book, published as a Kindle Edition, Familial, speaks with that musicality, with that epic-dramatic impact and calling, as well as, with an achieved, worked for and crafted out confidence and assurance, that invite you to a realm, that only he can show us, lead us to and equip us to emerge in it: being richer for it. Familial is 49 pages, published by Waterloo Press. A good, old fashioned book is soon to follow, which would be a better thing for people, who would hold the book, feel it and smell the pages as they turn them and read and pause. Familial: ISBN: 978-1-906742-80-5: Price £07.00. ''Poetry is truth, sometimes truth is hard to accept, but we must face those horrors. The poems in Philip Ruthen’s Familial ache to be written: ...un-sentimentalise what we’re about to expect and revive there are no sweet stories, that’s written before; wraiths, cluster, no expediencies of revenge supplicant show, tell, not reserving these rights. from Prelude, Cluster. This is the hidden truth of a place none of us wants to talk about, even look or think about. Yet, his poetry signs at the romantic, even, contemporary pastoral, breaking through. “Look into thy heart and write”, Sir Philip Sydney, is exactly what Ruthen has done.'' says Mr Peter Street on the opening statement and we have one poem to quote from, that will speak the way Philip Ruthen does. 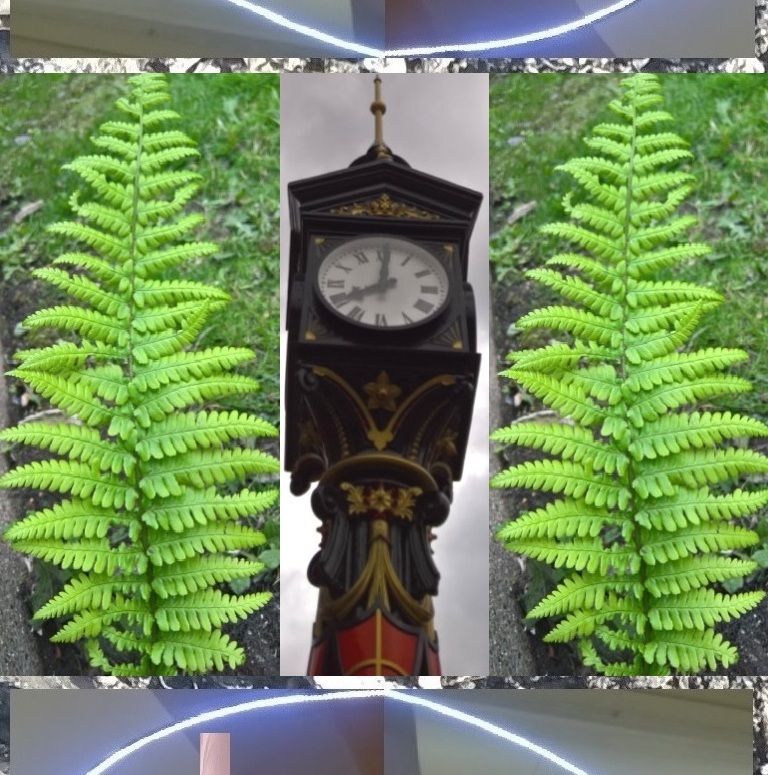 Mr Philip Ruthen’s extensive body of book reviews, articles, poetry and short fiction can be found in diverse places, for instance: The Recusant e-journal, International Times; Poetrybay USA, Nthposition, also book reviews via Todd Swift’s Eyewear blog-zine and Poetry Express e-zine. Previous poetry collections Jetty View Holding and Apple Eye Feat are, also, available from Waterloo Press, his collected short stories with civil rights themes, Feint ruled lines and the political poetry pamphlet Test, Match, Day, Room: Jasper Ward, The Sequence are now published via his Waterloo Press imprint PalamidiPress; both are, also, available as Kindle E-editions. Though, having relocated to Axminster, Devon, he regularly spends time in south London working for health and social care-orientated organisations. He is a former Trustee, and Chair, of the national literature development and disability arts charity Survivors’ Poetry and at times an editor and mentor. Familial is available online. 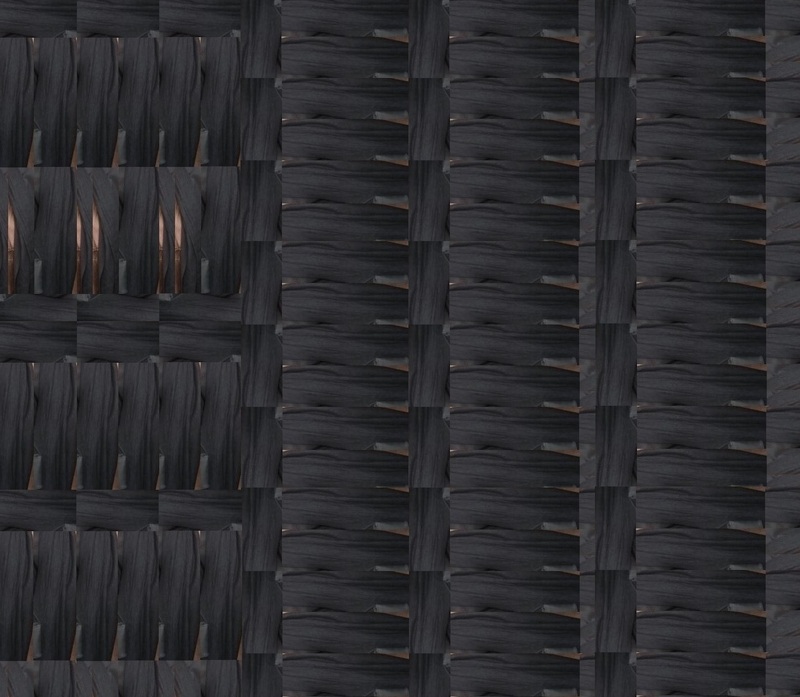 ω. 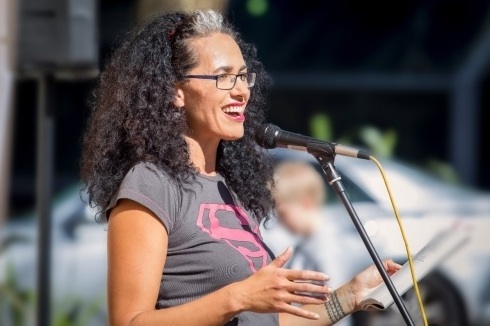 || September 11: 2017: National University of Auckland News || ά. Dr Selina Tusitala Marsh, Associate Professor of English at the University of Auckland, was named the country’s new Poet Laureate 2017-19 during National Poetry Day, observed on Friday, August 25. The Poet Laureate is one of the most prestigious national awards for New Zealand poets, recognising outstanding contributions to New Zealand poetry. Each Laureate is awarded $80,000 over two years by the National Library of New Zealand Te Puna Mātauranga o Aotearoa to create new work and promote poetry throughout the country. They, also, receive a carved tokotoko or orator’s stick, symbolising their authority and status. “I’m honoured and humbled by this award.’’ Dr Marsh says. 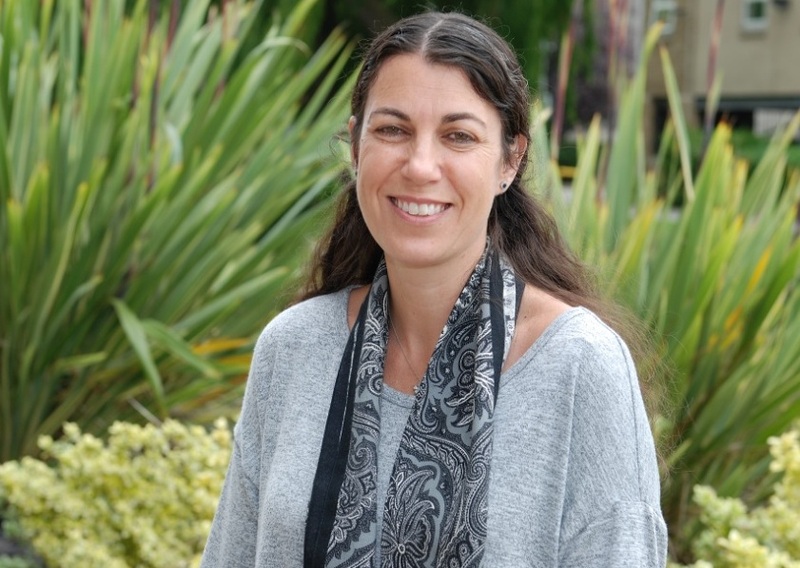 Dr Marsh is the award-winning author of three collections of poetry, including, her latest book, Tightrope, AUP, which was, also, launched on Friday at the University’s Fale Pasifika. She was Commonwealth Poet in 2016. Dr Marsh was the first Pacific Islander to graduate with a PhD in English from the University of Auckland. She is a strong advocate for Pasifika poetry and literature and lectures at the University of Auckland, specialising in Māori and Pacific Literary Studies and Creative Writing. New Zealand’s first poet Laureate was Bill Manhire in 1996 and the outgoing Laureate for 2015-17 is the University of Auckland’s Emeritus Professor of English C.K Stead. For more information on the Poet Laureate Award. ω. || July 07: 2017: University of Huddersfield News || ά. A two-day conference examining Ted Hughes' biggest influences from the natural and metaphysical world around him, took place at the University of Huddersfield. A Network at the University of Huddersfield, dedicated to researching the life and work of the renowned Yorkshire-born poet, celebrated its first anniversary with this international conference. Literary experts from around the world attended the two-day event, 'Ted Hughes and Place' and examined the writer’s biggest influences from the natural and metaphysical world around him, social and cultural issues and the influence of Ted Hughes on poets and artists during his lifetime and after his death. The conference was organised by Dr Steve Ely, Director of the Ted Hughes Network:THN and Dr James Underwood a THN Research Fellow and was held in partnership with the Ted Hughes Society. Opening the event was the first of four keynotes speeches by world-leading Ted Hughes experts. Professor Terry Gifford from Bath Spa University gave his talk, Hughes’s Notion of Shamanic Healing, which was a bringing together of his latest research into shamanism and healing powers of Ted Hughes’ poetry. The audience on the second day heard Dr Heather Clark, who is a Visiting International Professor of the University’s Ted Hughes Network, read excerpts from an up-and-coming literary biography she is writing on Sylvia Plath, Ted Hughes’s wife for seven years until her death in 1963. The biography will draw on unpublished letters from Sylvia Plath and is due to be available at the end of 2018. THN Director Dr Ely said the the book will be the most definitive piece of work on Plath and Hughes for a decade. An interesting analysis of the relationship between Hughes to the author D.H. Lawrence by Emeritus Professor Neil Roberts, University of Sheffield, closed the first day of the conference. He demonstrated a number of parallels between Hughes and Lawrence and suggested that Ted Hughes’ biggest influences from the early part of the 20th century were the authors T.S. Eliot, William Butler Yeats and D.H. Lawrence, unlike many, who think the third biggest influence should be Ezra Pound. Closing the event was Dr Mark Wormald from Pembroke College, University of Cambridge, in which, he read from his research paper Irishwards: Ted Hughes, Freedom and Flow. He spoke about Ted Hughes’s stay in the West Coast of Ireland and described how Barrie Cooke, an Irish painter, had been good friends with Hughes since the early 60s right up to his death. “Mark Wormald’s paper was actually quite touching.” said Dr Ely “Not least in the revelations of how highly Barrie Cooke rated Hughes’s work and the close, temperamental congeniality they shared. His paper demonstrated how Hughes seemed to find a freedom in the West Coast of Ireland, that he couldn’t find elsewhere. The attraction wasn’t just the salmon fishing, which Hughes loved, but in a sense of the Atlantic coast of Ireland as somewhere he could relax and breathe.” he said. Proving that Ted Hughes isn’t solely an English affair, the remainder of the conference saw papers delivered by Ted Hughes scholars stretching from across the globe and Research Fellow Dr Underwood said that the response to the conference had been overwhelmingly positive from everyone. “With twenty-five rich and diverse papers by speakers from all over the UK, Europe and North America and a really interested and engaged audience, it’s been a big success and Ted Hughes’ scholarship has advanced a few stages as a result. “This event has, also, consolidated the University of Huddersfield’s place on the map as a centre of excellence for Hughes research and activities.” he added. 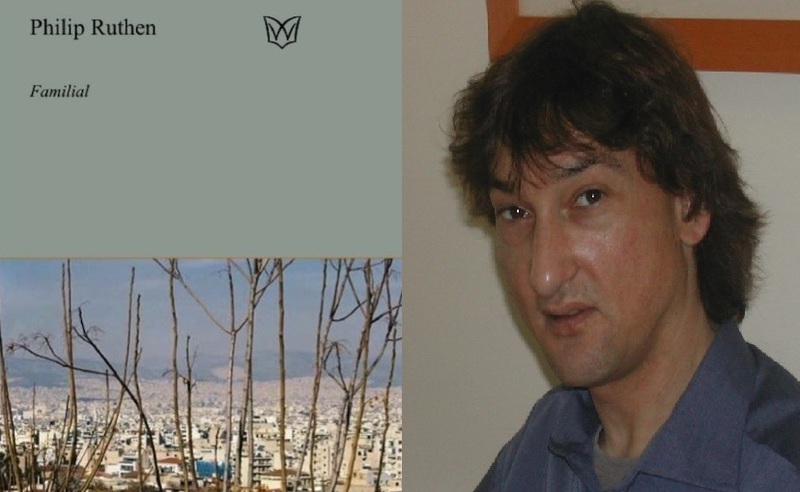 Ted Hughes and Place, also, included a poetry reading from multi-award winning poet Mr Andrew McMillan, whose debut collection Physical was the first-ever poetry collection to win The Guardian First Book Award. Next year’s event will be a creative writing symposium looking at the creative writing process of Ted Hughes and what made his writing so distinctive. Also, on the year’s agenda is the tri-annual conference of the Ted Hughes Society, which will take place in Cardiff. ω. || April 16: 2017: University of Chichester News || ά. The writing dreams of talented PhD student and Associate Lecturer, Ms Emma-Jane Hughes and former Chichester student, Ms Donna Kirstein, will come true later this month when they launch their debut poetry collections at the university. Two years ago, Ms Hughes and Ms Kirstein were the winners of a unique literary contest organised by the university in association with an independent publisher. 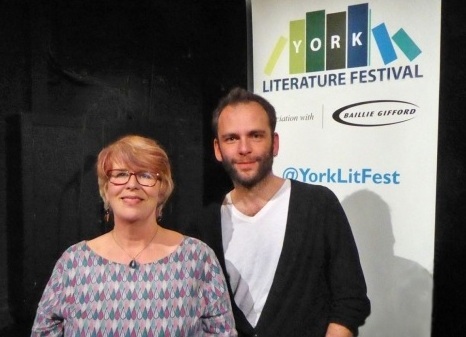 At the event, organised by M s Karen Stevens, Senior Lecturer in the Department of English and Creative Writing, students were given the opportunity to pitch a book project to independent publisher, Cinnamon Press. 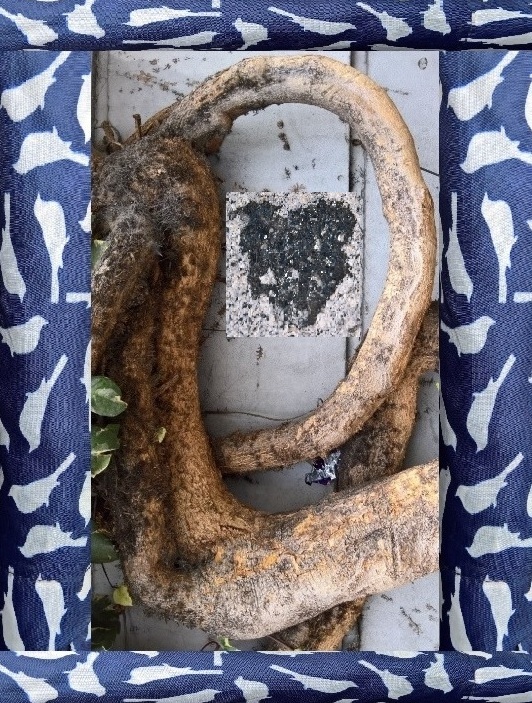 After a closely-fought contest, Ms Hughes’ debut collection, Mechanics of Love, and Ms Kerstein's debut pamphlet, Borderlands, rose through an impressive list to be chosen. Now both writers will return to the University on Wednesday, April 26, 17:00-18:00 for a free book launch event, chaired by Ms Karen Stevens, in Cloisters Chambers, Bishop Otter Campus, Chichester. All students, staff and members of the public are very welcome. Information: k.stevens at chi.ac.uk. Ms Stevens said that she was delighted to have worked with Cinnamon Press, which celebrated its tenth anniversary in 2015 and has been the fastest-growing small press for several years. ''Initially, I was nervous but I had convinced myself that all the other excellent writers would be more deserving and so I walked into the room with less trepidation than I might have otherwise done. I was concerned I would ramble but I was pleasantly surprised with how easy it was to talk about my work and answer some of Jan and Adam’s questions.'' said Ms Kirstein. ''The opportunity to pitch to Cinnamon Press was equal parts daunting and electrifying. Somehow, above the thundering of my heart, Jan and Adam were able to hear a concise explanation of the inspiration and central ideas behind the poetry collection. ‘The atmosphere was warm and encouraging because they are truly enthusiastic about hearing writers’ ideas and interested in each project’s possibilities.'' Said Ms Emma Jane Hughes. 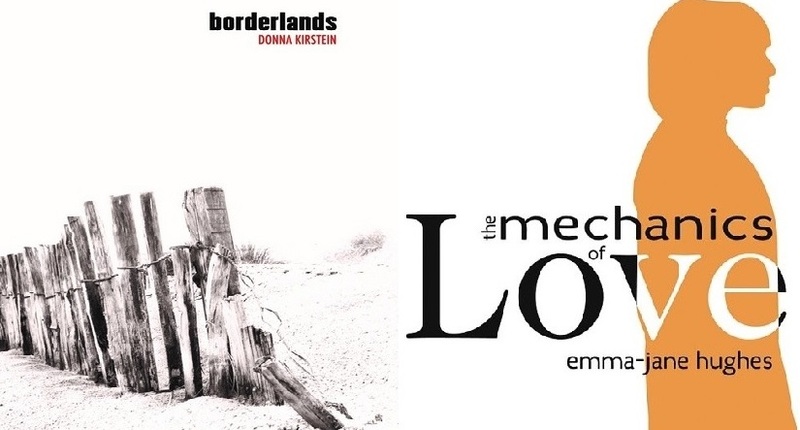 And now their books, Borderlands by Donna Kirstein and Mechanics of Love by Emma Jane Hughes, are out into the world. 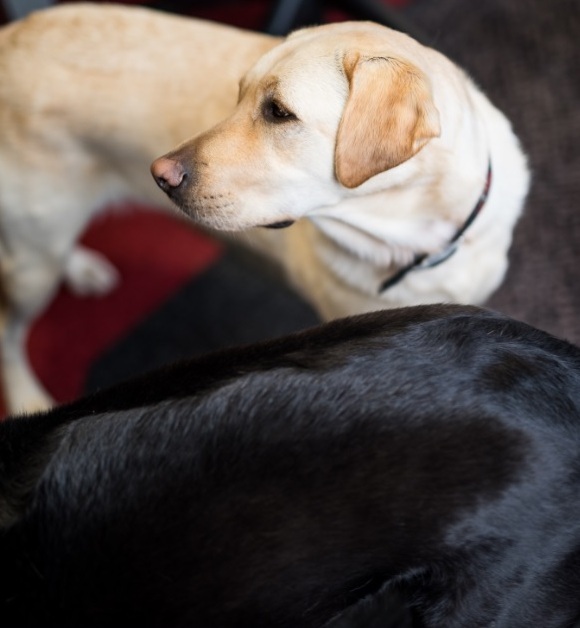 Both Emma-Jane Hughes and Ms Donna Kirstein began as undergraduates on the University’s English and Creative Writing BA Hons Degree and then later joined the MA and PhD programmes at the University. 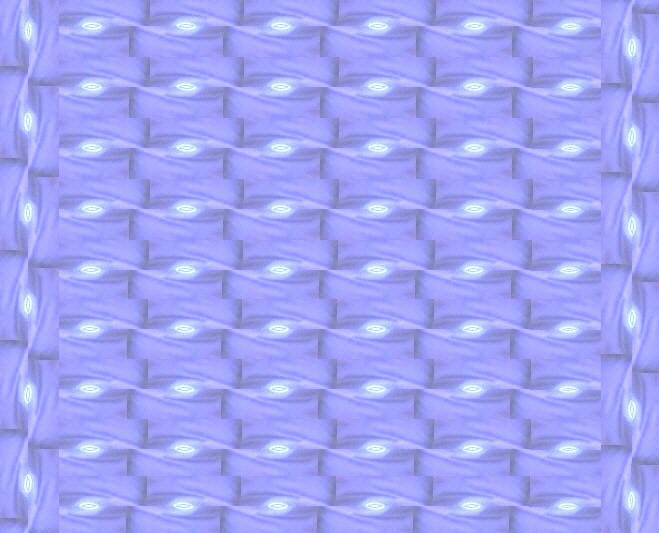 ω. || April 14: 2017: University of Aberdeen News || ά. 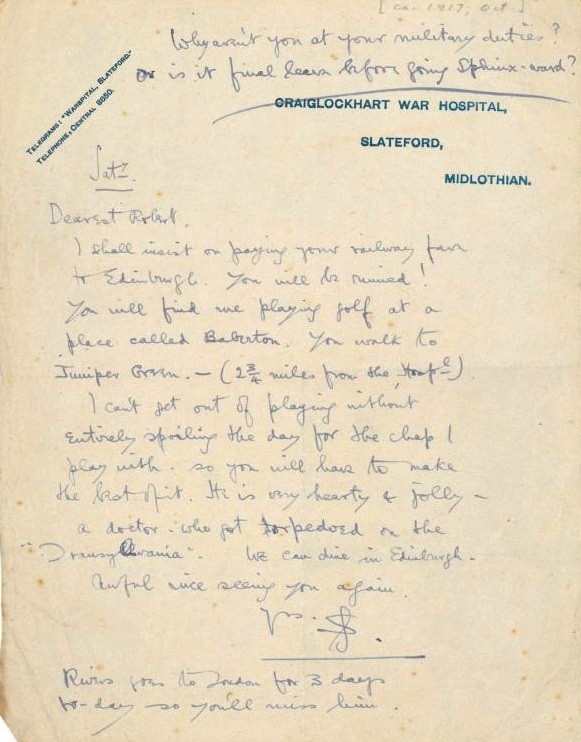 In April 1917, war poet Wilfred Owen was diagnosed with shellshock and sent for treatment, which eventually took him to the Craiglockhart Hospital in Edinburgh and led to a friendship with another literary great, Siegfried Sassoon. His time in the city, also, resulted in a meeting between the two poets and a third, Robert Graves, described as 'potentially the most powerful meeting of English literature in the 20th century'. But for 100 years the venue for this meeting has remained a mystery. Now a University of Aberdeen Lecturer and war poetry enthusiast has unravelled a series of clues, found hidden in the archives of an American University, which, he says finally pinpoint the location where the trio met: Baberton Golf Club in Juniper Green. Neil McLennan, a former Head of History at Tynecastle School, who now works as Senior Lecturer at the University, has spent more than 10 years, researching Wilfred Owen’s life. His interest in his time in the capital began when he learned that, as part of his recovery from shell shock, Owen, also, taught at the Edinburgh School. “Confirming this venue has been something that I really got between my teeth.” he said. “We always knew the three men met in Edinburgh but not where. It was thought to be a golf club owing to Sassoon’s love of the game. He claimed to have played in most courses in the area. Mortonhall Golf Club and Merchants Club had many officer patients playing there. However I could find nothing to confirm them as the meeting place. Oxford based scholar Dominic Hibberd had floated Baberton but before his death when I corresponded with him he could not cite, confirm or corroborate this. After scouring UK libraries and archives for clues, Mr McLennan found the answer in letters written in 1917 now held in Southern Illinois University, which he learned about through a fortuitous conversation with an American archivist. “There for all to see is a letter from Siegfried Sassoon to Robert Graves,” he added. “In it, he describes how he has a golf match on the day of Graves’ visit, which unsurprisingly he did not wish to cancel, and he asks Graves to travel to meet him at Juniper Green and Baberton Golf Club specifically. “Further correspondence indicates that between the letter being sent and Graves arriving it was decided that Owen would be sent to collet Graves and bring him to Baberton Golf Club. Owen clearly made an impression on Graves. He had met Graves only this one time however was invited to Graves wedding the following year. Sassoon had already been acting as a somewhat poetic mentor to Owen, however, now another poet recognised his talent and between Graves and Sassoon, Owen is introduced to the good and great before he returns to war service. This find means that Baberton Golf Club can now say it held potentially the most powerful meeting of English literature in the 20th century.'' Alan Goodman Baberton Golf Club Captain, said, "We were excited to learn that this historic meeting took place in our clubhouse and led to such an important collaboration between three of Britain's greatest war poets. We intend to create a permanent reminder of this meeting for members and visitors to view." Mr McLennan presented his findings at the University of Aberdeen’s First World War Conference: Imagination and Memory Since 1914 and will share his research as part of an event at the University’s May Festival next month. ω. || April 13: 2017: Cardiff University News || ά. 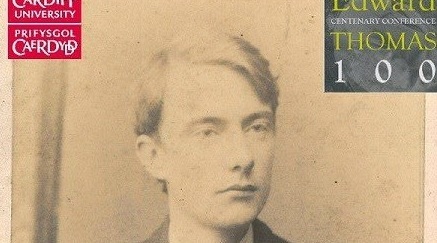 On the centenary of his untimely death, one of modern poetry’s most influential figures, Edward Thomas, is being celebrated in Cardiff, home to the world’s richest Thomas archive. Celebrating Edward Thomas 100, hosted by Cardiff University’s School of English, Communication and Philosophy, will remember the poet and author, whose work inspired some of the foremost poets and prose writers of the 20th century, including R.S. The Edward Thomas 100 Conference, takes place on April 19-21 at the School of English, Communication and Philosophy. Among delegates from around the world will be members of the poet’s family. Thomas, Michael Longley and Robert MacFarlane. A major, but often overlooked, figure in modern poetry, Thomas wrote just 144 poems in the last few years of his life, composing 16 over 20 days at the height of his creativity in 1915. His poems often chart journeys on foot through the natural world, chronicling birds, plants, flowers, lakes and hills. Unlike the so-called trench poets, Edward Thomas’ poetry was written before he was sent to the Western Front. Thomas would only live to see his book of verse, Six Poems, in print, initially publishing under a pseudonym, Edward Eastaway. On Easter Monday 1917 he was killed by a shell blast at Arras, aged just 39. The centenary event at Cardiff University will include a major international conference, writing workshop and a poetry performance. 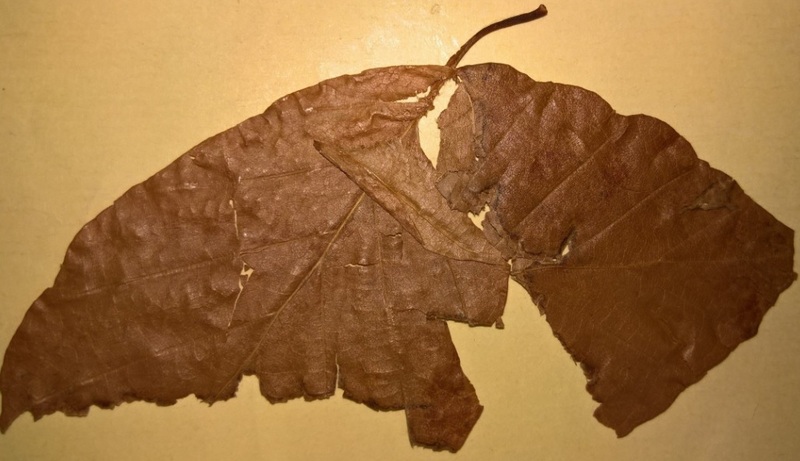 A public exhibition will feature items from the Edward Thomas archive, the world’s largest Edward Thomas collection, which was brought to the University some fifty years ago and is now stored in the University’s Special Collections Archive. Conference organiser, Professor of English Literature Katie Gramich, said, “Throughout his life Edward Thomas was on a quest for ‘home’, understood as both a physical sense of belonging in the world and a metaphysical sense of wholeness and plenitude. One hundred years after his tragic death, we are bringing him home to Wales, to celebrate his extraordinary literary output and to trace his poetic origins and influences. Celebrating Edward Thomas 100 is supported by the Learned Society of Wales and Literature Wales. ω. || April 04: 2017: Manchester Metropolitan University News || ά. Bernie Cullen is studying for a Masters in Creative Writing at Manchester Metropolitan University's renowned the Manchester Writing School and came top in the 2017 York Literature Festival and YorkMix.com Poetry Competition. She wrote the winning poem, Birdsong, while Poet in Residence at the Yorkshire Arboretum in the grounds of Castle Howard stately home near York. The Scottish-born student, who teaches creative writing to students with autism and learning difficulties and works as a university administrator, said, "Winning this prize was very special. Antony Dunn, the judge, was my first poetry teacher on Poetry School seminars over 15 years ago. The struggle for me has always been to find a way to write so the reader can hear the musicality of my voice. That I finally achieved this with Birdsong cannot be measured in certificates or prize money but I’ll take that, too, very gratefully." Bernie was selected as the winner from a record entry of 1,110 poems, submitted by 471 poets from throughout the UK. She said, "The creative process has been slowly accelerating and intensifying throughout this three year part- time MA. In my writing-up year, the need to pull together a collection has necessitated clarity of process. I fought hard to get this prize-winning poem into shape. I heard Alice Oswald at the Edinburgh Book Festival last year talk about the process of writing her dawn poem Tithonus. She spoke of sitting in a field watching the dawn, writing down every thought for 46 seconds. At the Yorkshire Arboretum where I am Poet in Residence, I resolved to distil the writing process down to pure listening. A poem came through." Bernie, who lives in Malton, Yorkshire, said that she originally felt Birdsong was so weird and different she almost abandoned it but taking home first prize in the competition has given her the confidence to trust her instincts. Judge Antony Dunn said, "When your poem’s up against 1,109 competitors, it doesn’t hurt to submit something out of the ordinary, which is exactly what our winner has done. Immediately attention-grabbing, this poem went straight to the top of my 'Yes' list and stayed there. Of course, it’s very easy to be attention-grabbing, dazzling, even, at first glance, but to be, ultimately, without substance. This winning poem is emphatically not that type of poem. It was great on the first reading and it remained great on the 10th. It remains great now.” ω. 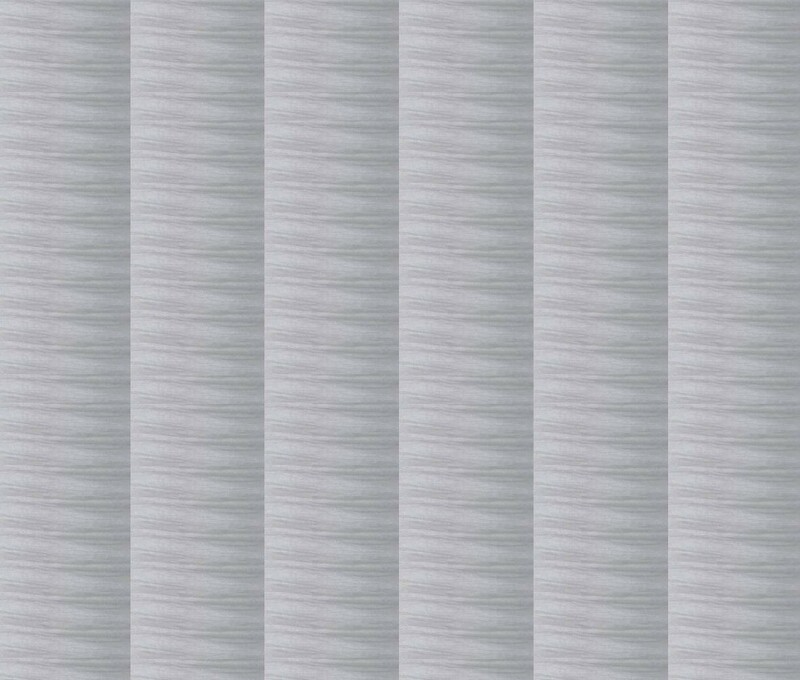 || March 28: 2017 || ά. 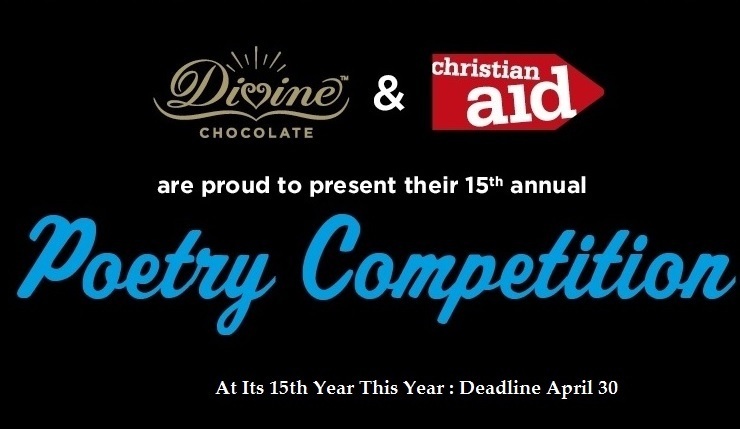 Each year Divine and Christian Aid run a Poetry Competition for young people, now in its 15th year, asking young people to write a poem about Fairtrade chocolate with a different theme each year. Mind the deadline: April 30. Do you love chocolate and poetry? Fire your imagination and spark your creativity with our 15th Annual Poetry Competition with Christian Aid, taking adults and children alike on a voyage of discovery through the world of chocolate, cocoa farmers Fairtrade and poetry. Leading the judging panel in 2017 is Laura Dockrill, poet, illustrator and author of the Darcy Burdock books. Details of the competition are available on the competition website. Cherish chocolate and the women farmers, who grow the cocoa this Easter, by choosing Easter eggs from Divine Chocolate, the Fairtrade and farmer owned chocolate company. All Divine’s cocoa is produced by the Kuapa Kokoo co-operative in Ghana, who co-own the company, so they share the profits, from the trade you offer this company. Unlike other chocolate companies Divine makes delicious chocolate that puts farmers at the heart of everything it does, which is why Christian Aid has been behind Divine right from the start as one of Divine’s founders. Together Christian Aid and Divine have worked to keep Fairtrade and trade justice on the public agenda and mobilised consumers to champion for Fairtrade causes for the past 19 years. Loretta Minghella OBE, Chief Executive of Christian Aid, says, ''Christian Aid has supported Divine since its foundation as an example of a business, that does things differently, fighting for social justice and a more positive future for cocoa farmers.'' Divine Chocolate is the UK’s only Fairtrade chocolate company that is, also, 44% owned by Kuapa Kokoo, a cocoa farmers’ co-operative in Ghana. The company is committed to empowering farmers and creating a more equitable trading relationship, with a particular focus on empowering women. Together Divine and Kuapa have been working for more than 19 years to empower women cocoa farmers to gain the necessary skills, confidence and influence to succeed in their industry, including through support programmes, partly funded by Divine Chocolate, like adult literacy classes or model farming schemes. ω. || February 19: 2017: Swansea University News || ά. The longlist for the £30,000 International Dylan Thomas Prize 2017, organised in partnership with Swansea University, has been announced, that included Two New York Times bestsellers and the winner of the 2016 Waterstones Book of the Year are among 12 books on. 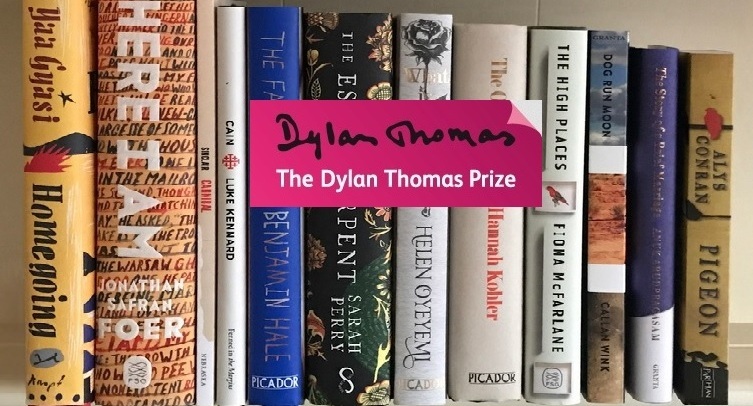 Dylan Thomas Prize awarded for the best published literary work in the English language, written by an author aged 39 or under, the prize is named after the Swansea-born poet and writer, Dylan Thomas. The Prize celebrates Dylan Thomas' 39 years of creativity endeavours. Being recognised as one of the most influential, internationally-renowned poets and writers of the mid-twentieth century, the prize invokes his memory to support the writers of today and nurture the talents of tomorrow. Launched in 2006, The International Dylan Thomas Prize is the largest literary prize in the world for young writers. This year’s longlist of 12 books comprises of: six novels, four short story collections and two volumes of poetry. ‌‌The Longlist for 2017: Ghanaian-American Author, Yaa Gyasi, joins authors from the UK, America, Australia, Sri Lanka and Jamaica on the longlist as they contend for the £30,000 prize. Three debut novels feature on the longlist: Pigeon, by the north Walian Author and Creative Writing Lecturer, Alys Conran; The Outside Lands by Hannah Kohler and The Story of a Brief Marriage by Anuk Arudpragasam. Last year’s winner was Max Porter for his highly-acclaimed debut book, Grief is the Thing with Feathers, part novella, part polyphonic fable, part essay on grief. Porter has since been awarded The Sunday Times Young Writer of the Year award for the same book. Professor John Spurr, Head of the College of Arts and Humanities at Swansea University, said, “This year’s longlist demonstrates the breadth, humanity and promise being produced by young international writers of such incredible talent. Featuring prose and poetry from new and established authors from around the world, it is a longlist to be relished. 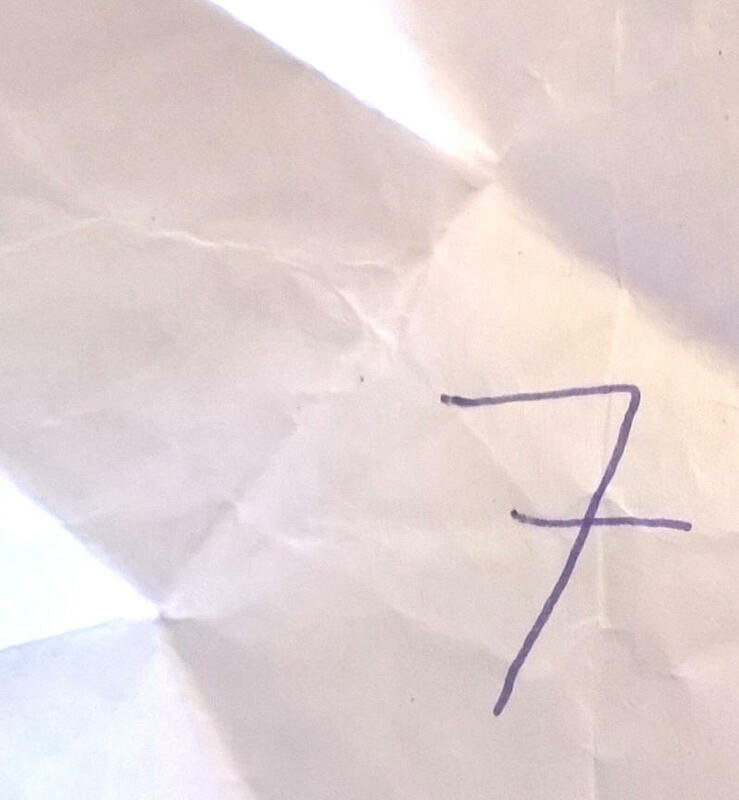 At this stage, the only certainty now is that the judging panel will end up with an exceptionally strong shortlist of six stunningly gifted authors”. Chaired by Professor Dai Smith CBE, Emeritus Raymond Williams Research Chair in the Cultural History of Wales at Swansea University and Historian and Writer on Welsh arts and culture, this year’s judging panel also features: poet and scholar, Professor Kurt Heinzelman, Alison Hindell, Head of Audio Drama, UK for the BBC, Novelist and Professor Sarah Moss and Author Prajwal Parajuly. The shortlist of six books will be announced at the end of March. 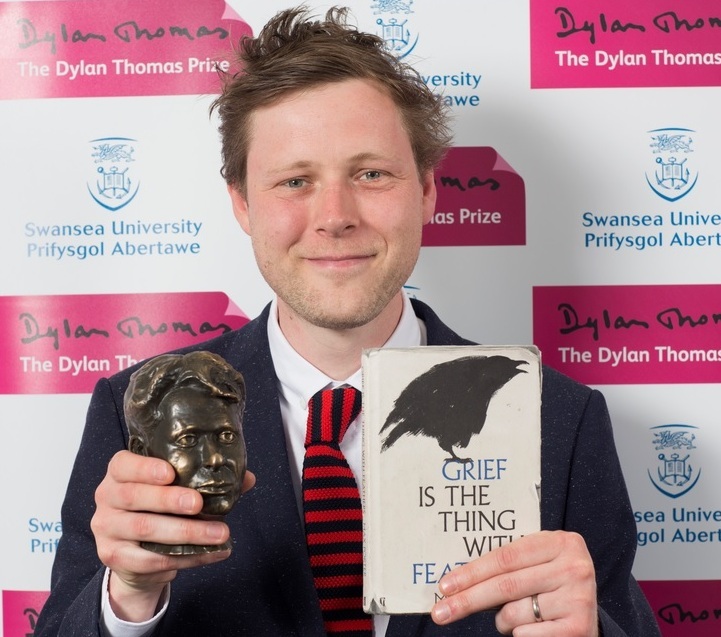 The winner will be announced on Wednesday, May 10 at Swansea University’s Great Hall, in the run up to International Dylan Thomas Day on May 14. ω. Here it is: a thought that arises out in the blank steppe of the mind and it arises like a vine that grows towards the light that falls on a green meadow full of beautiful jubilant green grass beneath which runs the velvet cool shadow where a snake slithers through onwards, opening a very subtle light mint green river running behind it that, as if a playful snake-child, chasing its mother, runs behind it, and the snake's rhythmic movement creates waves that run through the green meadow grass like waves floating over the still surface of a lake that holds the images of greenery in it and as the waves run you could see they change in the amount of light on the surface and the colour green and the light dim yet a silver-green-gold, very subtle, very delicate, travels outward. 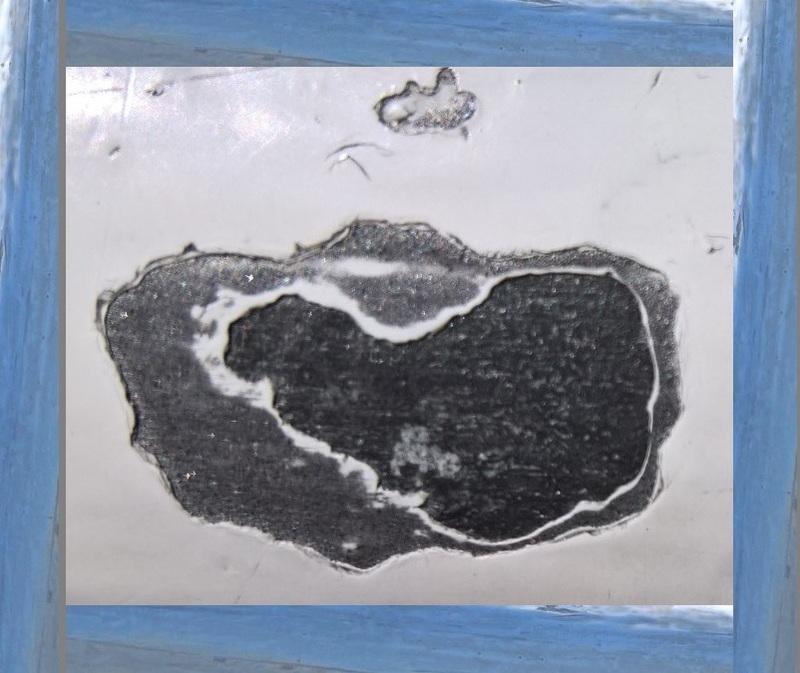 And from above, looking down, this looks as if a living thing is shimmering out a song that goes outward, upwards, all-wards towards the universe. And as the snake slithers on, the river that runs behind the snake closes in like the way greenery closes in an opening on a lake, if one throws a pebble in it. 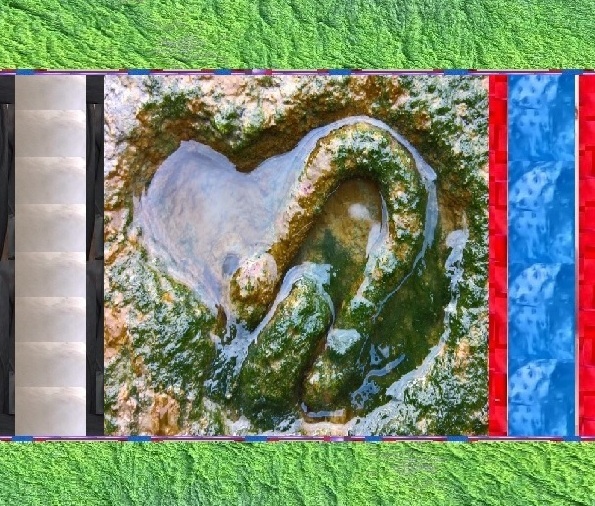 It now seems the snake is being chased by the snake-child-river and that is now being chased out by an invisible magician that simply blows and closes the gap between the grass which now creates another flow that flows behind the snake-child-river closing it in. 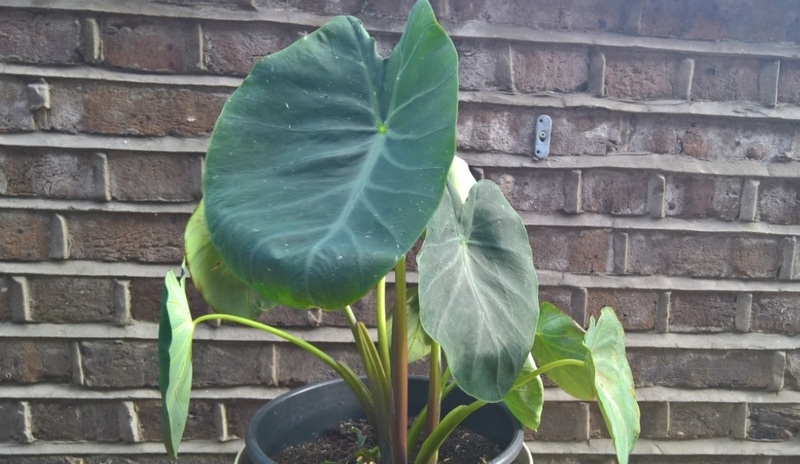 Now this flow appears darker green yet it is still paled by the light. This seems as if the trodden grass rising up from both side of the bottom and this creates a movement where one could see as if two pale green tectonic plates rising to form a fissure which soon goes through a quick rejuvenation of becoming green again in light in such a way it would seem to the observer as if she:he is watching the grass changing clothes of light or rather the way the colours change so fast at dusk in the western sky where the sun sets out its market stall of 'look and see' what you cannot hold. And soon the snake has finished the length of the meadow and out of view it is and the meadow has no trace of it's passing through over it other than probably the resonance of the traces of the movements it had made and the sense of smell of the snake and let us imagine, the 'fabric-dust' of all the waves that now are falling down back to earth as invisible feathers. And back to the thought that arises like a vine that grows towards the light that carries life's sonata inside it like the vine does that feeds it through the excitement of the chlorophyll in the invisible brush-work of sunlight the way an artist mixes oil-paint with a brush. There photosynthesis makes magic. And were you ever in Paris, just immediately after dusk and observed the Niuley Pleasance appearance of the sudden moon in the sky, you would know how the Universe paints that moon right in front of your very astounded, bewildered, betwixt and mesmerised and mad eyes for you could palpably see in nano-seconds, as if the brush-stroke of an artist is making the moon appear on the beautiful subtle blue sky and you could see it happening. You see the moon being painted and you just ask yourself: what did I just see! My thought, this thought, it grows and carries that sonata that is fed by the Universe's choral symphony that is played all over the Universe and all that is resonated by my heart that pulls all into an electric 'jump' so that the essence of it all, spread in the blood and rushes out and, that symphony, symphony of the atria and ventricles and arteries and the beautiful flutes of the capillaries take it all to all the lands that form my being. My being still never forgets that moon being painted and the music that went along with that few nano-seconds. That, my being, has an infinite net of a countless multitude of neurons with their 'taper fingers':JohnKeats: in the form of axons binding and connecting and powering all and among that magical architecture of bio-chemico-mechanics somewhere, somehow I am being in my Sanctum Mayakardium and being in my Sanctum Neuranium and out of where arises this thought that rises like a vine that rises towards the light, the light that runs through the vast indefinitum of the darkness duantum exactly the way neurons and their axons run through the darkness of my being's spread. And the thought and the vine and the light and all are in the indefinitum vastness of the darkness and you could see that all that are like rays of lights and now see an entire different reconstruction of the Universe that is now lit with these 'axons' and look at this joy, feel this awe, touch and inhale that jubilation! and That music! Can you hear it! Can you hear it! Did Johannes Sibelius hear it? Did he play it? Did Aino Sibelius, the only other soul who heard him play it, stopped to breathe? And that music was not the Eighth Symphony! That what he played was only a comma of what he had witnessed so that he simply could not say that that what he played was the whole War and Peace for it was not and it cannot be. I cannot fathom the infinity of this jubilation, of this awe, of this magnanimous joy and of celebrations and of praise inside my tiny 'silicon' of an existence: except all this shows me: O, goodness, I hold the infinity in the prospect of the beat of my heart for it beats in the Universe and it resonates all that there is and when one calls to find me I realise I was not at 'home' where the phone was. 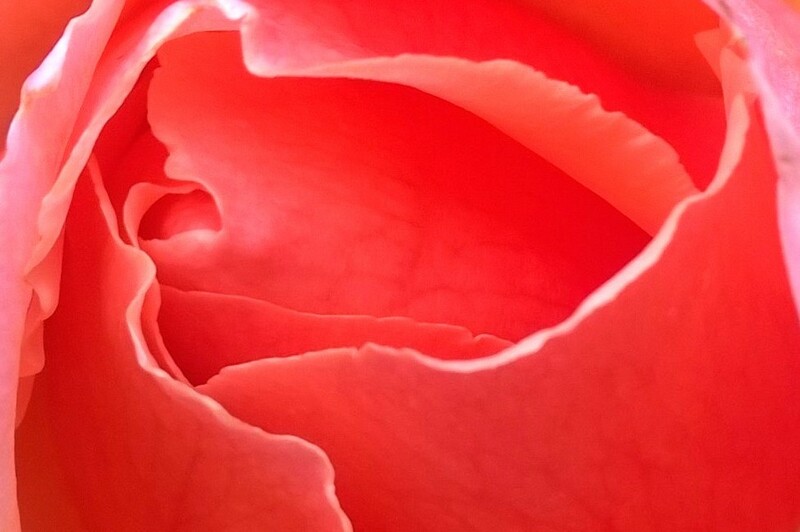 That, this thought that rises like a vine but this vine turns into a bloom and it becomes poppy in city green from where it relates to a Jerusalem Rose and that rose goes through Isfahan. And Rilke rises to praise more and the music of Prometheus and Orpheus ring out and the Homeric songs of the 'dawn with her rose-red fingers shone once more'' and I am and I 'Kneel in wonder'':Rilke and I praise and I am speechless. And the speech where but inside the ocean of solitude where remains the gold, the topaz, the ruby, the emerald and the emmaphire of silence and the music of solitude is another realm where sense will not work, does not work. There the light is the mind's light which is like light but not the 'material' light. With that seek out and wonder out and listen and you would hear! You would hear the Immisian Symphony that what is behind all that there is! The Music, the Eight Symphony. The joy, the awe, the jubilation. And the thought and the thought of this music, that awe-inspiring symphony I have always sought to hear, create and bring about. And all I get is my soul lost in the Universe of that heart, lost in the vast magnificence of this universe where I find the Eight Symphony always is but never 'caught'. And here I leave you with my thought, this thought.....inside your heart something is and that something is beating and it plays the Universe whose prozzitry I have not yet found a way to compose. So here we are, the thought that rises like a vine that grows towards the light that light that is in the eyes where the outer world has found a home where everything floats as shadow-boats and I invite you to imagine a rose, an isfahan rose and sing! You look at the Universe and I shall hear the Universe's choral symphony in your eyes for the entire Universe is reflected, resonated and is alive inside inside the eyes. That is the rose in your eyes. And here is the joy for, imagine, all with all that you are, you have become a Rose of your existence that forms a Rose-Vase on which your eyes shine like the queen-petals, of all that is the highest of you and on that the Universe-Rose grows and finds home as flowers do in a vase. That is the Universe Rose and this Rose arises out of Isfahan of your soul into which the Universe makes another Rose that makes its home in your Rose, where you find this...... this prozzitry.....this Immisian Symphony. I wandered on his side. With scarce a slower flight. And one I wished my own. The winding of the stream. And plunging, left the shore. The treasure at my feet. To Him who gives me all. It tells us wordlessly, it shows us palpably, it directs us tangibly, it touches us, neither by its senses nor by ours, directly, as light does, as darkness does, it moves us almost involuntarily and it makes us respond, form relationship and become better for it; this is what we find in the Animalium and this is what, a parallel, and resonant version of humanity and we cannot but fail to notice it, acknowledge, respond and interact with it, we are calling Hemmanity. 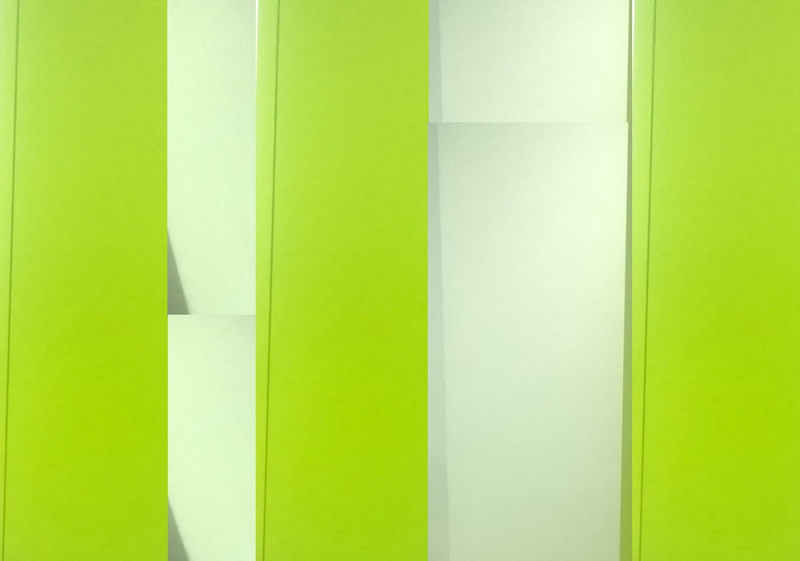 Hemmanity is as if a parallel, resonant, mirror-translational, relational humanity exists outside humanity itself that shows it what it is like and unlike. 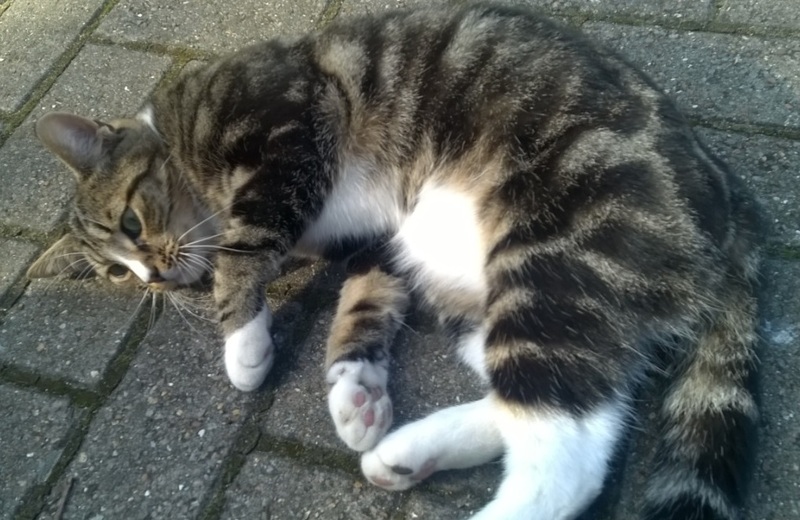 This Cat came to say hello as I went to a green for a walk on October 20, 2015. This cat did not know me but came to me and 'communicated' her friendliness by way of coming to me, going around me touching and pressing her fur on my legs and then doing a great display of lying down straight, then lying on her back, then turning backward on her back and making a circle with her body and, so many other gymnastics. She stayed there and let me sit next to her and stroke her and speak to her. This felt as if she is 'human' and that 'human' is what I call Hemmanity in animals. And this Hemmanity in the animals make it not only to behave in such a way that calls for acknowledgement, care, attention and response, but at the same time, makes it appear at its most beautiful, most joyous, most touching and most moving; particularly, all this forces us to acknowledge, feel and see the deep connections and similarities between us connecting us to the cycle of life. And this is only one of those expressions of this cat. And how this little animal understood that she could come to me in the sense that she would be safe? And this understanding of the cat can be seen in the way she is staying there right in front of my eyes. This astonishing thing is Hemmanity in animals and because of this our humanity is enhanced, enriched, enlightened and punctuated brightly when we come in touch and interact with animals; no matter what animal it is, whether a cat or a dog or a horse or a tiny little bird or a dolphin or a butterfly or a tiny stick insect sitting on a wall of the busy street. 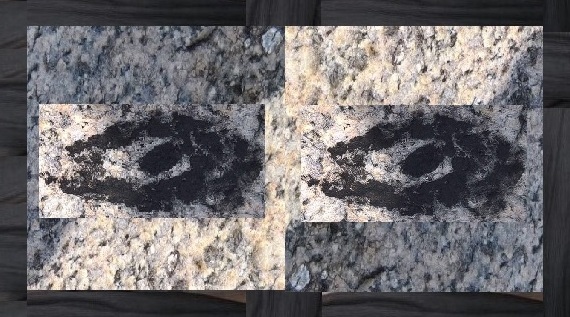 your quick-step, on cobbles in a lamp-lit square. and letters in the coffin of a drawer. like a word, a whisper, always on my tongue. || September 21: 2016 || P.L: ά. Winners of the Forward Prizes for Poetry 2016 were announced tonight, with Vahni Capildeo winning the £15,000 prize for Best Collection for Measure of Expatriation. Sponsored since their launch in 1992 by the content marketing agency, Forward Worldwide, the three awards, Best Collection, Best First Collection and Best Single Poem, are Britain’s most coveted poetry prizes, celebrating the best new poetry published in the British Isles. Previous winners include some of the best-loved names in contemporary poetry: Thom Gunn, Seamus Heaney, Ted Hughes, Carol Ann Duffy and Kathleen Jamie. The prizes were awarded at a special ceremony at the Royal Festival Hall in London’s Southbank Centre, with readings from each of the shortlisted collections, introduced by the prizes’ founder William Sieghart and the chair of this year’s judging panel, the writer and multidisciplinary artist Malika Booker. The panel also comprised poets George Szirtes and Liz Berry, with singer:songwriter Tracey Thorn and Don Share, editor of Poetry magazine. Tiphanie Yanique was awarded the Felix Dennis Prize for Best First Collection, £5,000, awarded for Wife, Peepal Tree Press. Born in the Virgin Islands, Yanique is a novelist, short-story writer and professor in the MFA programme at the New School in New York City, where she is the 2015 recipient of the Distinguished Teaching Award. Her collection of poems, Wife, was published in October 2015. Sasha Dugdale was awarded Best Single Poem for ‘Joy’, first published in PN Review. Dugdale, a poet, playwright, and translator, was born in Sussex, England. She is the editor of Modern Poetry in Translation. A special announcement was also made to mark the Forward Arts Foundation’s anniversary celebrations, with the launch of the first Forward Prizes Studentship. It will support a young poet from Afghanistan: Shukria Rezaei, 18, knew no English on arrival in the UK from Afghanistan four years ago but has since won several awards for her poetry. The Studentship will enable Shukria to stay on an extra year at Oxford Spires Academy, where she will work as a teaching assistant, mentor younger students and encourage the creative and critical reading and writing of poetry throughout the school. Money raised to support her will also enable Forward Arts Foundation to extend the pioneering poetry work with migrants, refugees and other disadvantaged children which has been pilotted by Shukria’s teacher, the poet Kate Clanchy, and her colleagues at Oxford Spires Academy. Support for the Very Quiet Girls Poetry project is welcomed via the Just Giving page. 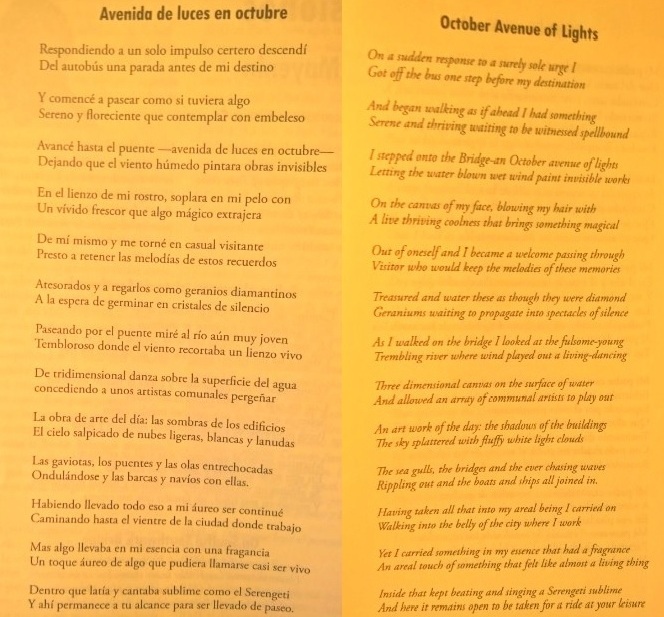 The ceremony marks the start of a season of nationwide poetry celebrations, culminating with National Poetry Day on Thursday, October 06 in October the Poetry Month, with a theme of Messages for 2016. Shortlisted poets are included in the recently released Forward Book of Poetry 2017, which also contains more than 50 poems highly recommended by the judges. Meanwhile, a special title, 100 Prized Poems: Twenty-five years of the Forward Books, has been released to mark the prizes’ momentous anniversary year, featuring Carol Ann Duffy, Don Paterson, Derek Walcott, and fresh voices, Kate Tempest, Kei Miller and Emily Berry. 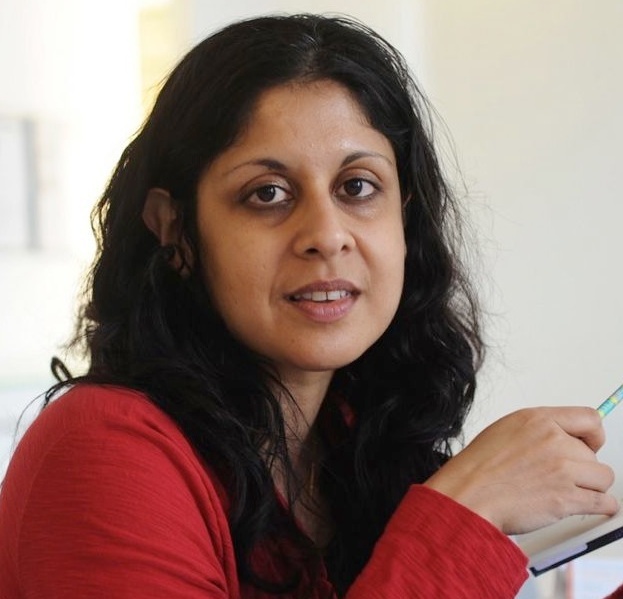 Shortlists for the 2016 Forward Prizes for Poetry Comprised: The Forward Prize for Best Collection, £15,000: Vahni Capildeo: Measures of Expatriation:Carcanet. Ian Duhig: The Blind Roadmaker:Picador Poetry. Choman Hardi: Considering the Women:Bloodaxe Books. Alice Oswald : Falling Awake:Cape Poetry. 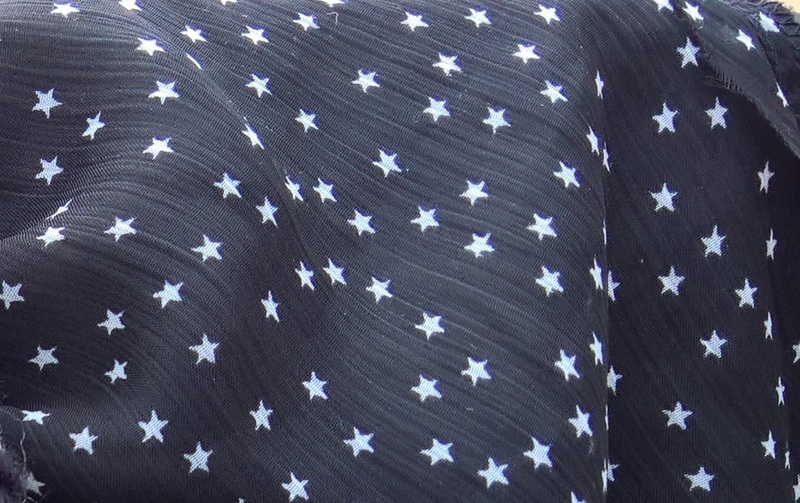 Denise Riley: Say Something Back:Picador Poetry. The Felix Dennis Prize for Best First Collection, £5,000: Nancy Campbell: Disko Bay:Enitharmon Press. Ron Carey: Distance:Revival Press. 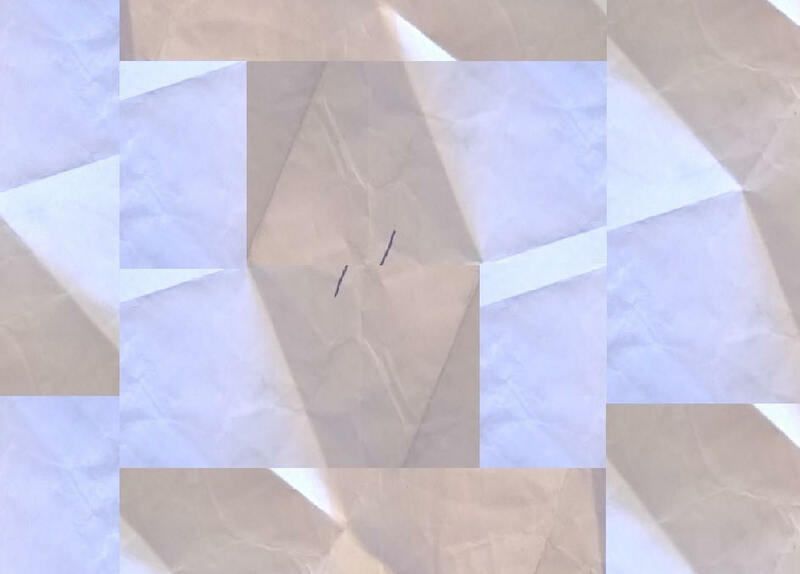 Harry Giles: Tonguit:Freight Books. Ruby Robinson: Every Little Sound:Liverpool University Press. Tiphanie Yanique: Wife:Peepal Tree Press. The Forward Prize for Best Single Poem, £1,000: Sasha Dugdale: Joy:PN Review. 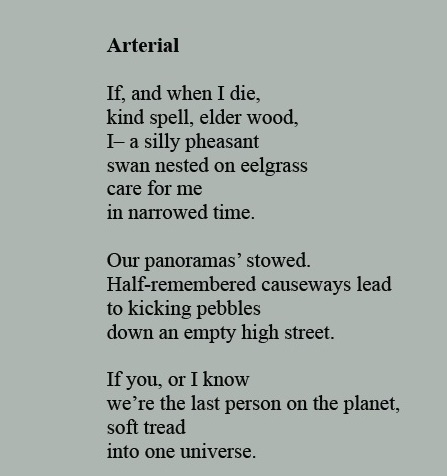 David Harsent:From 'Salt':Poetry London. Solmaz Sharif:Force Visibility:Granta Magazine. Melissa Lee-Houghton:i am very precious:Prac Crit. Rachel Hadas:Roosevelt Hospital Blues:Times Literary Supplement. Dr Natalia Carbajosa was born in 1971 in the south of Spain, Cádiz. She has studied English at the University of Salamanca, obtaining a Doctorate on Shakespeare studies in 1999. 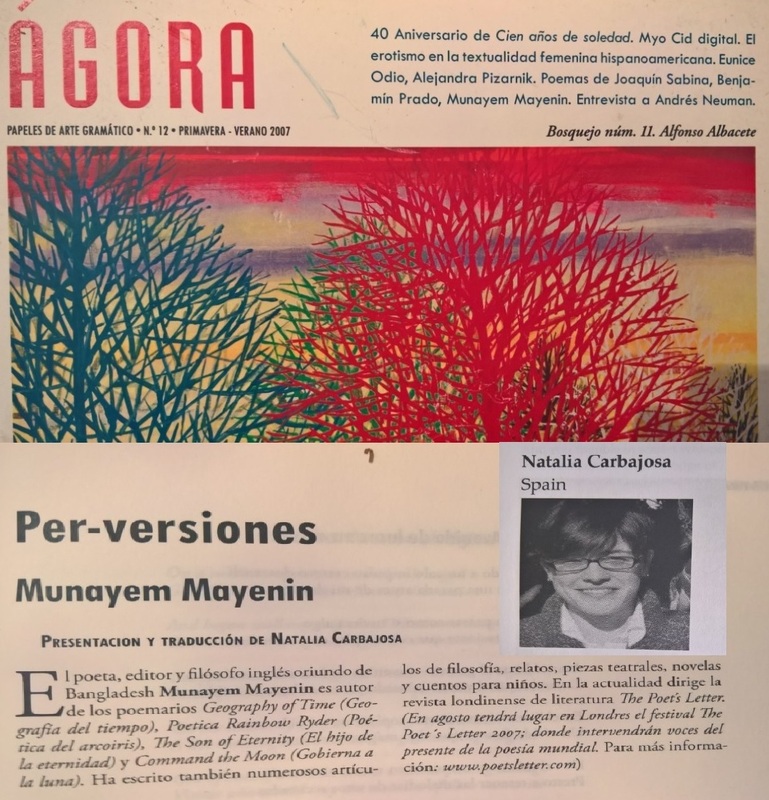 From 1995 to 1998 she was co-editor of the literary magazine "Parásito", together with other university students. Since 1999 she has been teaching English at the University of Cartagena. She has also taught English Literature at the National Distance Education University:UNED. 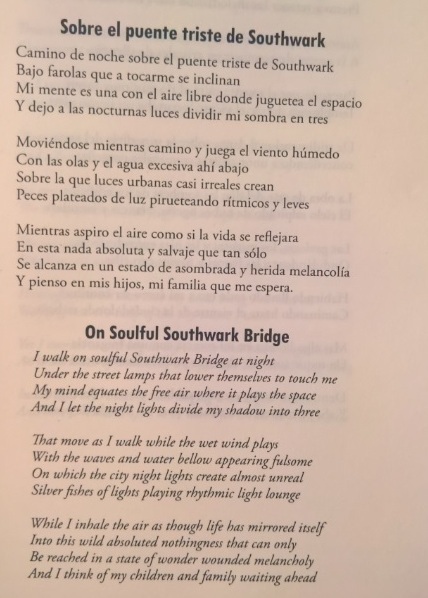 Poetry books: Los puentes sumergidos:The Submerged Bridges, 2000; Pronóstico:Forecast, 2005; Los reinos y las horas:The Kingdoms and the Hours, 2006. Short stories: Patologías:Pathologies, 2005. She collaborates with translations and research articles in national and foreign magazines on literature, theatre and cinema and, has participated in seminars on Renaissance Studies and contemporary Anglo-indian and South African literature. 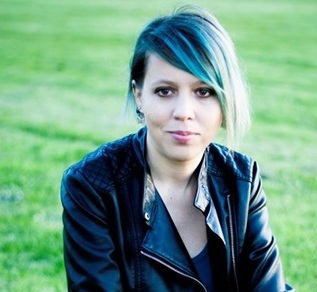 Some of her poems have been translated into Romanian and published in a Canadian magazine. 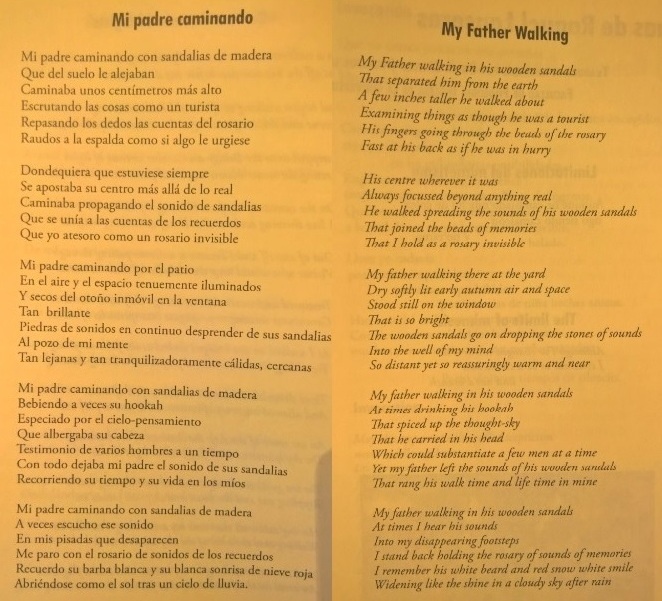 Here, The Humanion presents some of her original poetry in Spanish.